Rosicrucianism, like Hermetism (or Hermeticism) and Gnosticism, is something that means different things, depending on whom you ask and about when you are speaking. Thus it is important to determine which Rosicrucianism. For original literary Rosicrucianism, there is the Fraternity of the Rose Cross described in the source materials, then following that there is the Rosicrucianism spoken about by others. Even later there is the Rosicrucianism, and Rosicrucian Orders, of the Victorian and Edwardian periods, and all those that they influenced, including Freemasonry's Rose Croix degree, Societas Rosicruciana in Anglia (SRIA), Hermetic Order of the Golden Dawn, Ordo Templi Orientis (OTO), A∴A∴, Ancient and Mystical Order Rosae Crucis (AMORC), and so forth. 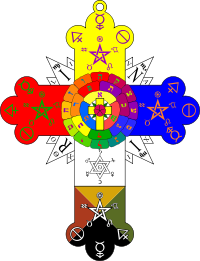 At the core, the Brotherhood of the Rose Cross described in the source material is simply a group of eight people, who are avowed virgins, bonded together by a brief code of only six points, to be of service to humanity, and preserve certain esoteric knowledge until such time as people in the West were ready to accept it. This band of brothers were to travel various lands as healers, and to do so gratis. Each brother was to select a successor to replace them in the brotherhood if they were to die, so the ranks would neither increase nor decline. 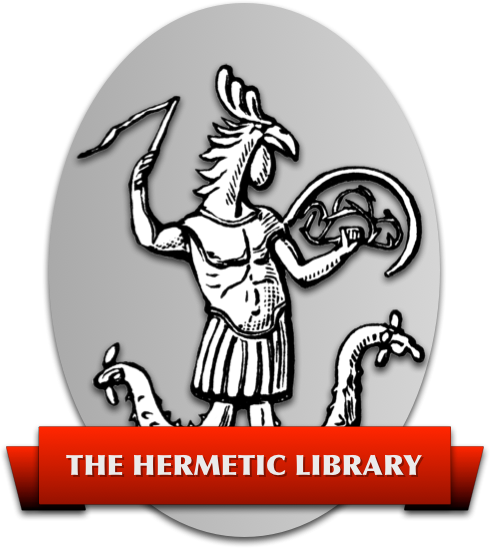 Each brother had particular areas of esoteric expertise and they created books of that knowledge, collected into a philosophical library, which was kept sacred. These brothers were to be hidden from the world for the span of 100 years. 6. The Fraternity should remain secret one hundred years. Subsequent manifestations, of all kinds, of Rosicrucianism are more or less independent developments inspired by the idea of this literary brotherhood. The publication of the Fama and Confessio inspired quite a number of people to develop far more elaborate constructions nominally Rosicrucian. Most existing Rosicrucian groups are inspired by or offshoots from Freemasonry's Rose Croix degree, and thus pseudo-masonic in character, or come from the Rosicrucianism of SRIA and the Golden Dawn, which are late Victorian developments, but the latter of these two is incredibly important in the history of modern Western esotericism. As such, all these developed inspirations generally exhibit an accretion of much more complexity in both structure and belief, including initiatory systems and complex essential metaphysical tenets, typical of and imported from the Western Esoteric Tradition and late Victorian fraternal societies, but none of which is sufficient nor necessary to original, or essential, literary Rosicrucianism, in and of itself. The publication of the original Rosicrucian documents contributed to a rising fever in the West, that continues, to find Adepts who could be petitioned by those worthy few, by virtue primarily of finding an Adept to be petitioned, who otherwise had not necessarily studied esotericism seriously, to bestow by fiat any number of revelatory esoteric Secrets and Mysteries upon the seeker.